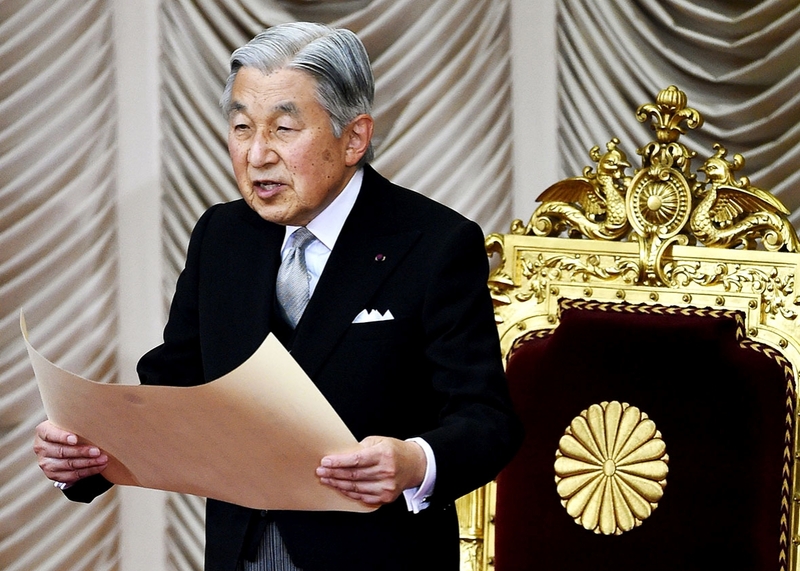 In a televised message last August, Japan’s Emperor Akihito suggested he was considering stepping down. On Friday his wish will come one step closer, with the country’s cabinet expected to approve legislation allowing Akihito to abdicate at the end of 2018. Stretching back thousands of years, Japan’s monarchy is the oldest in the world and abides by strict traditions, including that Emperor’s are expected to die on the throne. But having suffered from cancer and undergone multiple operations, Akihito says it has become “difficult” for him to carry out of his duties. With one in every three people over 60 in Japan, the Emperor’s appeal has found sympathetic ears—more than 80% of people polled believe Akihito should be able to step down. Responding to this sentiment, the conservative Abe government has drafted a temporary law that will allow Emperor Akihito to abdicate, while leaving the traditional non-abdication rule untouched. After cabinet approval on Friday, the special legislation is expected to be voted on by parliament before June 18.